Since Huatuo CEO Forum Individuality Scholarship was carried out in Haikou for the first time in August 2013, theme with “concerning individuality, respect individuality and protect individuality”, Huatuo CEO Forum Individuality Scholarship again favored the pearl in the south sea—Haikou. 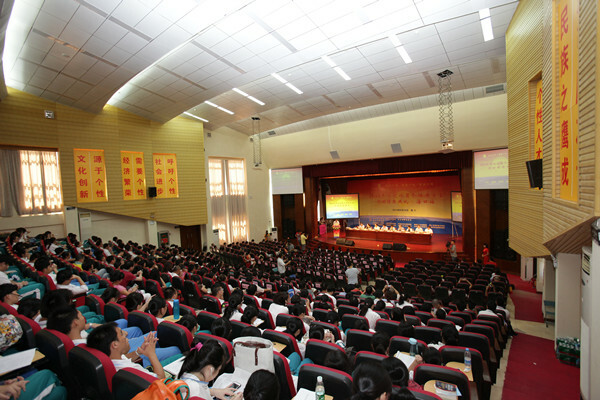 On August 20th , “2014 Huatuo CEO Forum Individuality Scholarship Reward Ceremony·Haikou” was grandly held in Hainan Overseas Chinese Middle School. 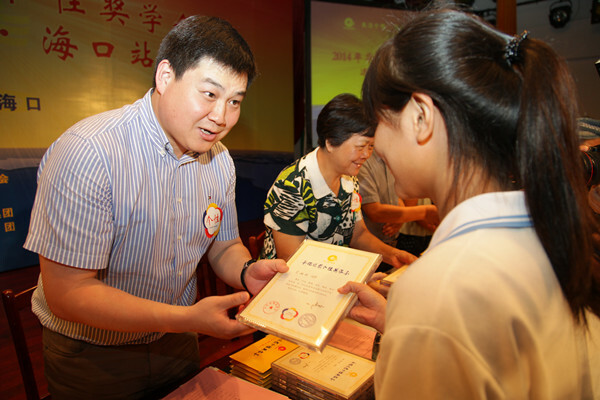 100 students were awarded with scholarship of 10,000 yuan. Chairman of the Board of Huatuo CEO Organizing Committee, Chairman of the Board of Pacific Construction Yan Hao took alone Vice Chairwoman of Susun Group, CEO Zuo Fan, No.9 Construction Group of CPCG Chen Jiatu to attend the ceremony. They, together with official leaders from Haikou government, rewarded the students. In 2011, founder of Sutaihua Conglomerate Yan Jiehe declared that he would offer 1billon yuan to set up “Huatuo CEO Forum Individuality Scholarship” for promoting the individuality education. So far, it has been going for two years. In more than 80 cities and over 100 million yuan were granted in China. From the 5 pilot cities in 2012, through 25 cities in 2013, to 55 cities in 2014. It has been regarded as the highest level of nongovernmental scholarship within China for such high frequency of granting and the amount of money. It has sparkled a great deal of repercussion from the national mainstream media and specialist from all circles of the life.